Because of unhealthy weight loss behaviours like night-time binging after starving ourselves for a whole day, over time we may be in dire need of inspirational weight loss ideas to get rid of that pesky excess weight gain. Weight loss is a science, that’s for sure. It’s also a lot about motivation, which is an art. We know that the methods of losing weight are many, and not set in stone. However, no esoteric advice will change the reality of physics, nutritional requirements and bad diets leading to ill health and disease. The artistic aspect of losing weight comes through the millions of stories you tell yourself during your journey. Here is where you will need the help of your brain. Reprogram your brain to achieve the goals you wish to achieve, in this case, sustainable weight loss! You can reprogram your ALL your stories: of motivation, quiet confidence, humility in defeat and the desire to do the best you can. When it comes to fostering strength behind this art, you need to understand where to place your footing. The following 2 pieces of advice should help inspire you with ideas that can truly help you lose the weight permanently. How to Lose Weight and Keep it Off ~ 7 Stellar Tips to Achieve This! 1. Cook and Eat Delicious Food as Medicine – Respect Your Food! Your kitchen and the food you cook is, of course, responsible for some of the blame regarding your overweight issues. Change your attitude regarding your kitchen and your food! Your kitchen is NOT not a place of shame and over-indulgence. You kitchen is a sacred place where you have the opportunity to once again fall in love with cooking and eating delicious food! Yes, for weight loss. This could mean refitting your kitchen and purchasing some premium kitchen equipment. This very action can allow for a complete resurgence in the way you cook and eat. Over time you may be less quick to judge the foods you have in your cupboards, and instead thrive with a strong amount of mental and written recipes regarding healthy food. Falling in love with eating delicious food which will not make you fat, being healthy, and not being afraid of staying fat is the key to keeping the pounds off. As big bonus from eating healthily is the prevention of degenerative illnesses from a bad diet: obesity, diabetes, cardiovascular disease and cancer. The reason people overeat is often the fill an emotional hole in their lives. Stress makes us eat and overeat. But this is not the purpose of food, as we all know. However, expressing yourself can help you get better at articulating your issues. For example, keeping a ‘kitchen and food diary’ in which you describe your food tastes, document your food habits and understand your general timeline of eating can help you understand yourself much more. Many people often ask how overweight or obese people can look at themselves and still continue to eat. The fact of the matter is that mentally, people afflicted with this difficulty often do not look at themselves as objectively as they might like, or they are great at rationalizations. However you enjoy expressing yourself is a great place to start, be that writing, recording a Vlog or even talking with a friend. You’ll be surprised at how powerful this can be. With these two ideas in mind, getting over your weight problems will be much easier, and will be backed by a strong foundation of wisdom. Join Our Tribe NOW and Gourmet It! To Optimal Weight! The two-week weight loss plan for healthy adults ~ 2 Weeks is All You Need to Reboot Your Eating Habits! You probably know that there are two main ways to lose weight: dietary changes or increased exercise. But do you know which one is right for you? 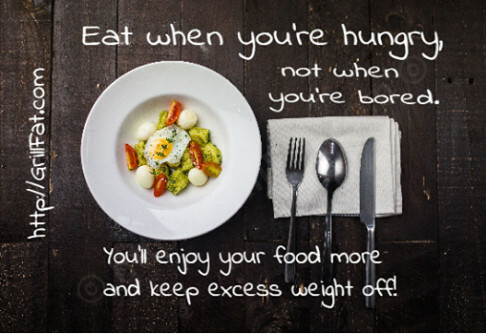 If you could benefit from losing a few pounds using food, this blog post is for you! We want you to try this two-week diet plan with a focus on your food choices. Test out our recommendations and see how you feel after the two weeks. If you feel better and a little lighter, why not continue with this plan? You probably know there might be at least a few dietary sacrifices involved to obtain the best and fastest results. And first on that list is beer (and wine). Yes, that’s right! Your friend and mine (beer and alcohol) are going on a little vacation until you hit your weight-loss targets! Say bye-bye…because for the next two-weeks you won’t be tasting your favourite beverage. The simple reason is that without abstaining from alcohol, there’s no point to beginning any diet. Next on the list are French fries, milkshakes, ice cream, cakes and other high-calorie but low-nutrient foods. There’s one more thing to reduce and that’s meat. But especially prepared, or ‘deli’ meats. The human body only requires no more than 8 ounces of meat per week. Eating more than that can slow your digestion, your metabolism, and leads to unwanted water retention. Some of the longest-lived people in the world (Japanese people who live in coastal regions of that country) typically live past 100 years of age. They typically eat fewer than 8 ounces of meat per week. And they have far, far, fewer health problems during their long life than the typical Westerner who lives an average of 81.6 years. Allot yourself 8 ounces of (any kind of) meat per week, for the next two-weeks. Now for the easy part of the two-week diet! Replace all of the ‘bad’ foods mentioned above with nutrient-dense foods. Drink plenty of water. Distilled water is best. Give the container a good shake first to re-oxygenize the water before you sip ~ distilled water can taste a bit flat. Feel free to eat as many vegetables and fruits as you want. Focus on natural, raw plant-based foods. Eliminate starchy, processed and sugary foods. If you eat yogurt, give yourself a gold star! Yogurt is one of the best things you can eat especially if it’s a brand of yogurt with probiotics. You’ll appreciate that probiotics makes all the other nutrients more bio-available to your body. The only problem with some brands of yogurt is that they are little more than glorified pudding, high in calories and low in nutrients. For the next two weeks, try eating and enjoying two servings instead of one at breakfast. You’ll still be far ahead of the game as compared to eating only one serving of ‘pudding style’ yogurt. Make this your new diet habit and soon you’ll be wondering how you lived life any other way. Don’t walk around feeling hungry, that’s no fun at all. Assuming you’ve read this far, you’re serious about success. Two weeks from now you’ll be congratulating yourself for your foresight and determination. As you should! And assuming you’re a determined weight-loss warrior in good health, this is a healthy challenge for you. Your body will appreciate the difference in the form of more energy and a lower body weight. Don’t forget to give yourself a nice reward at the end of two weeks. This way, you’ll have something to look forward to!!! This will also help you to focus on your weight loss goals throughout your two-week diet. When Your Weight Loss Plan Stops Working: What Next? There’s nothing more disheartening than getting on the scales at the end of a grueling week of dieting and workouts and finding that you haven’t lost a pound. It’s maddening, frustrating, and it can be extremely upsetting. If your weight loss plan has stopped working, what next? The first point to make is not to panic. There may be nothing wrong with your plan. Weight fluctuates over time, and there are bound to be times when you don’t lose anything. This is completely normal, and there could be any number of factors causing it. Continue as you were and weigh yourself again in another week. If it’s still not working, it’s time to review. This may sound like a strange question but are you eating enough? Eating too little can cause your body to stop losing weight. If you’re consuming too few calories, your body lowers your metabolism to preserve energy because you’re not getting enough from your food. Review your diet and your calorie intake and ensure you are consuming enough calories per day. Are You On The Right Diet? There are countless fad diets on the market, all promising to deliver fantastic results. Sadly, the majority of them will help you lose weight in the first couple of weeks but will either be too difficult to maintain or will cause you to plateau. Make sure you’re following a healthy diet such as a ketogenic diet, which will ensure you receive the right nutrients and create the right conditions to lose weight. Fad diets are so-named for a reason. They rarely work and will only serve to keep you in a cycle of dieting and gaining weight. Are You Checking Your Portions? One of the easiest mistakes to make on a diet is not checking your portion control. After a certain amount of time, we become complacent and think we can judge portions easily. However, this may not be true. It’s always worth checking every so often to make sure you’re eating the right amounts and not overdoing it on the portions. When we exercise, we consume more calories. However, sometimes dieters eat too much to compensate. They either feel hungrier, or they assume they are burning more calories than they actually are. Be realistic about the calories you’re burning. If you’re at the gym, you can use a calorie-burning calculator on some of the machines. Otherwise, learn your levels. Some days you just don’t feel it. You get up early to put in the workout time but feel like you’re just going through the motions. You’re bored and demotivated. If you recognise the signs, it’s time to take action and give yourself a boost. Go back to your goals and reassess them. Remind yourself of what you’re trying to achieve and visualize the outcome. If it’s the workout itself that’s the problem, switch it up. Vary the exercise, try new activities, etc. When your weight loss plan stops working, the important thing is not to be discouraged. Don’t be tempted to throw away all your hard work. This is just part of the process. Take stock, reassess and get back on track.